The Monster Energy NASCAR Cup Series will travel to Richmond Raceway for a Saturday night short track race. This is the way racing should be. Richmond is .75-mile D-shaped flat track that provides some exciting racing. It should be fun to watch under the lights. The Toyota Owners 400 is scheduled for 7:30 p.m. ET Saturday on Fox. It will be a compressed schedule for the MENCS this week. The first practice will be Friday at 11 a.m. ET. Final practice is Friday at 1 p.m. ET. No TV coverage for any practice this week. Qualifying will be Friday at 5:30 p.m. ET (FS1). There will be no DraftKings Xfinity Series picks this week because of the compressed schedule. My early week pick for the pole is Denny Hamlin. There have been 8 races this season and we have had 8 different pole winners. That streak should come to an end Friday. 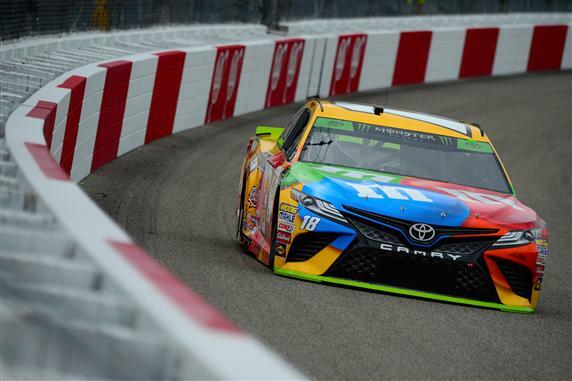 Joe Gibbs Racing has been very good at Richmond and Hamlin has been on a hot streak this season. Hamlin has 3 poles at his home track. I think he will add another one this week. Each week I use different stats in my model to create the best rankings possible to give you an edge on the completion. This week I used driver rankings from Richmond, average finishing position at Richmond, average running position at Phoenix and driver rating and Richmond and Phoenix combined. * I will post my final driver rankings Saturday morning.